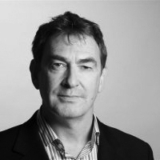 Keith Porritt is a seasoned commercial and business affairs executive with over 30 years experience in all aspects of commercial media IP exploitation. From 2009-2015 Keith was Executive Commercial Director for UK broadcaster UKTV, a joint venture between BBC Worldwide and Scripps Network Interactive, Inc. He was responsible for all commercial and business development, programme rights acquisition, and legal and business and regulatory affairs. This included setting channel and UKTV owned programme distribution strategy, and the negotiation and management of UKTV’s carriage platform relationships with all UK and Eire Pay TV platforms, and managing a complex rights licensing regime. During his time at UKTV, the business launched and re- launched 12 channels, 3 converting from Pay to Free TV, 5 HD channels and VOD services on all major Pay TV platforms, as well as its D2C player UKTV Play and launch on Youview. UKTV’s annual revenue increased by circa 50% to £318m, and annual EBITDA increased 60% from £50m to £82m and its annual programme spend reached £148m. Prior to that Keith was General Counsel of Sparrowhawk Media, responsible for all legal and business affairs for the Sparrowhawk group of companies including all aspects of the successful company sale to NBC Universal. He negotiated platform carriage deals with Sky, Virgin Media, and TUTV, in the UK, managed the legal and business affairs of the Hallmark programme library distribution business, and oversaw brand management of the Hallmark brand. Keith started as a solicitor for 10 years in City Firm Richards Butler (Reed Smith) in the Media Department advising on all aspects of film and programme IP development production financing and distribution.